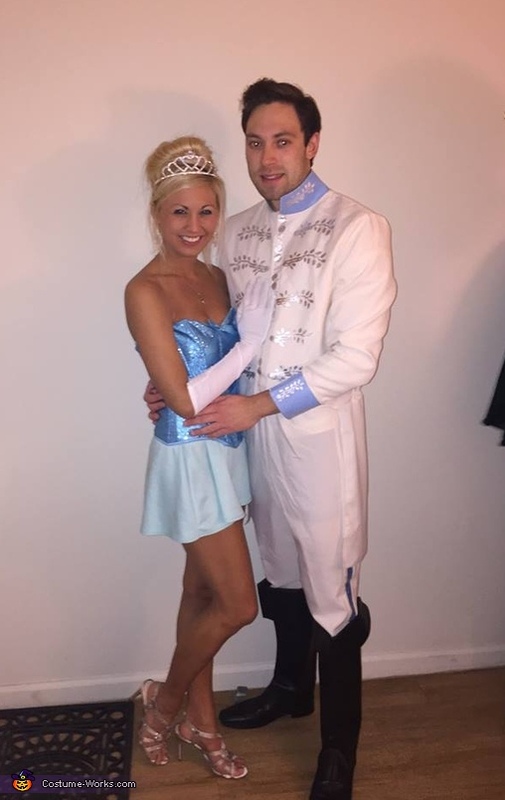 Our costume was inspired by the fact that I (Jessica Lee) am obsessed with Disney- particularly the princesses, and my boyfriend (Matt Cuvala) decided to humor me by dressing up as Prince Charming (going out of his way to find the live-action costume, altering it to a perfect fit). The overall costume cost us about 300 dollars between the two of us. I found the perfect blue corset- mixed with a mint blue skater skirt, and the crown was quite the investment- costing me 60 dollars for that beauty! Matt, on the other hand, had to take his costume to a tailor- as after ordering it online he found it was just a bit too big for his liking! Then there were the boots... Matt spent about 40 dollars finding the perfect boots fit for a prince! Overall, we took plenty of pictures- many Cinderella story based, and certainly left our friends in awe at the success of our costume!